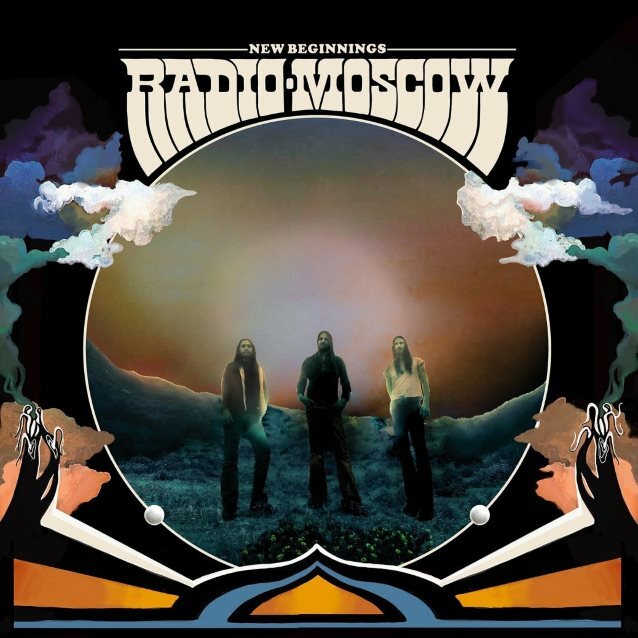 Southern Californian psychedelic blues trio RADIO MOSCOW will release its fifth studio album, "New Beginnings", on September 29 via Century Media Records. The disc's striking cover artwork was created by artist Courtney Cole and photographer Dana Trippe with lettering coming from Robin Gnista. "New Beginnings" was recorded at Lost Ark Studio in San Diego with Mike Butler, produced by the band's own Parker Griggs and mastered by Mark Chalecki at Little Red Book Mastering. The album will be released as regular black and limited colored LP+CD including a poster designed by Robin Gnista as well as on CD, and all digital/streaming platforms. Right on time with release of their new opus, the band has confirmed the "The Drifting Tour", which will drown Europe from September 26 to October 31 in waves of fuzzy, hard rocking riffs and sweaty, cranked up blues. 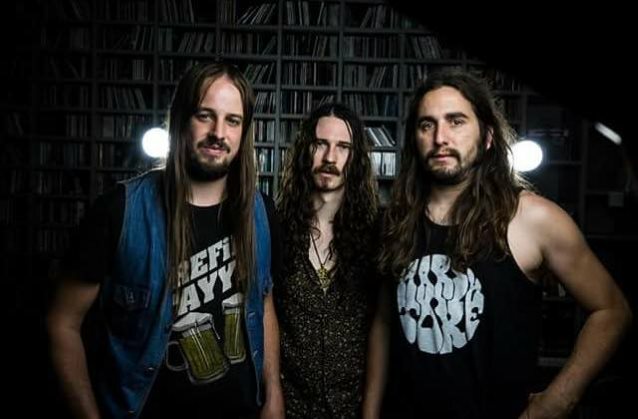 Prior to that, RADIO MOSCOW will perform at several European festivals as well as head over to the U.K. for a mini tour in August with support coming from Midland's legendary THE GROUNDHOGS. Formed in 2003, the power trio led by Stratocaster genius Parker Griggs carved their own sonic niche fusing crunching, heavy BLACK SABBATH-style chords with fiery "Hendrixian" solos and a raw intensity that is addictive and captivating. From the self-titled debut back in 2007, which was produced by BLACK KEYS' Dan Auerbach, over to last year's "Live! In California", RADIO MOSCOW proved to be not just a cheap time machine but a direct descendant from the golden age of rock 'n' roll.